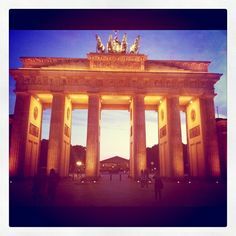 After 25 hours (including layovers) I touch down today in the mother city of Berlin. It was surreal flying in via Frankfurt and when the towncar took me from the airport to city center. Red arrives in a few days so I will stay out of trouble until then. Tonight we are headed to the conference hall to see the preparations. We are also going to do some tech prep. and have dinner in a Turkish Restaurant. Time to shower and get ready for the work day. Willkommen in Berlin.